You can find an “Uni-voice“ tourist information plate at each of the main tourist spots in Sennan City, as shown in the photo below. It provides text and audio information in English, Chinese (traditional and simplified), Korean, and Japanese. 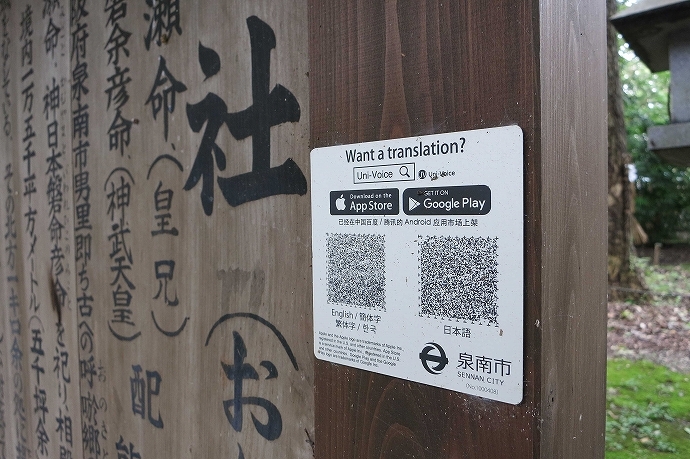 Download and install the app into your smartphone beforehand; and it can scan the QR code on the plate, and display and read the text for the tourist guide without any WiFi connection. Search for “Uni-voice” on “Apple Store” or “Google Play” to download the app. 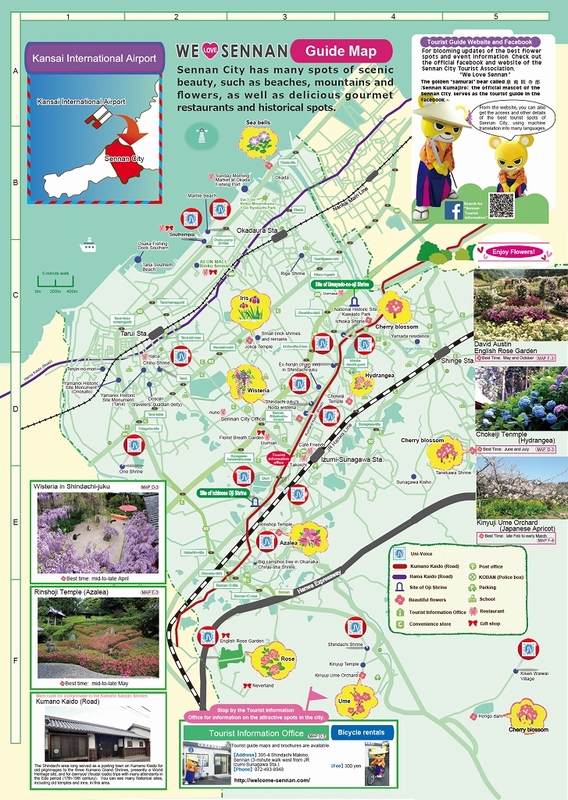 The map below shows which tourist spot has the uni-voice information plate. 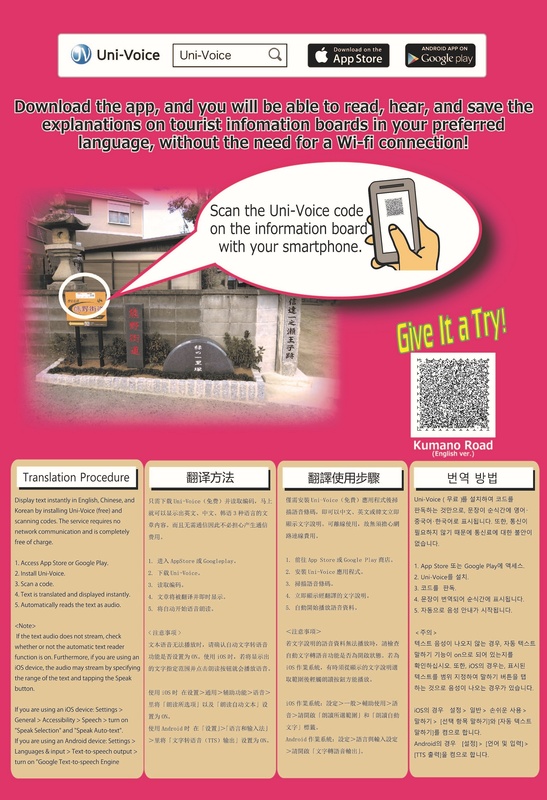 univoice_map_310131 (pdf. approx. 2M) ← Click this title to download. This shows the best 25 tourist spots of the City, including historical spots and gourmet restaurants, each with an access route from where you are, as well as recommended travel routes. 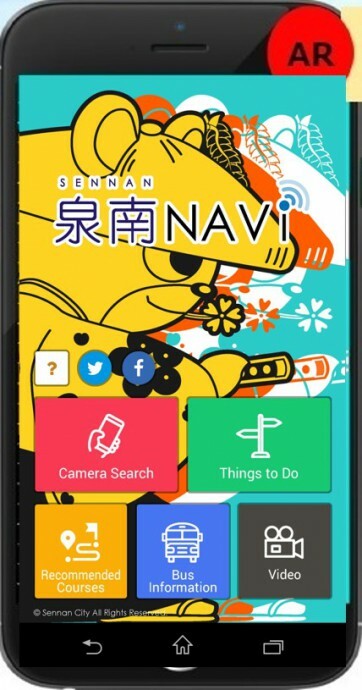 Search for the word “Sennan” on “Apple Store” or “Google Play” to download the app.